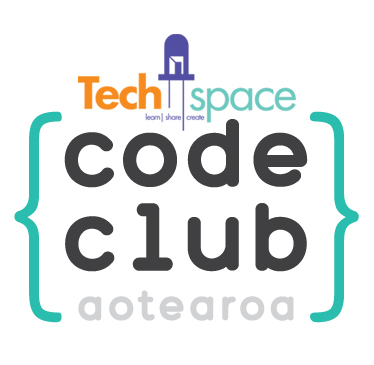 Code Club is a nationwide network of free after-school coding clubs for kiwi kids. “We create projects for our volunteers to teach at after-school coding clubs around the country. The projects we offer teach children to program by showing them how to make computer games, animations, and websites. Our volunteers go to their local club for an hour per week and teach one project per week. Each term the students will progress and learn more whilst at the same time using their imagination to make creative projects. Terms 1 & 2 use Scratch to teach the basics of programming. 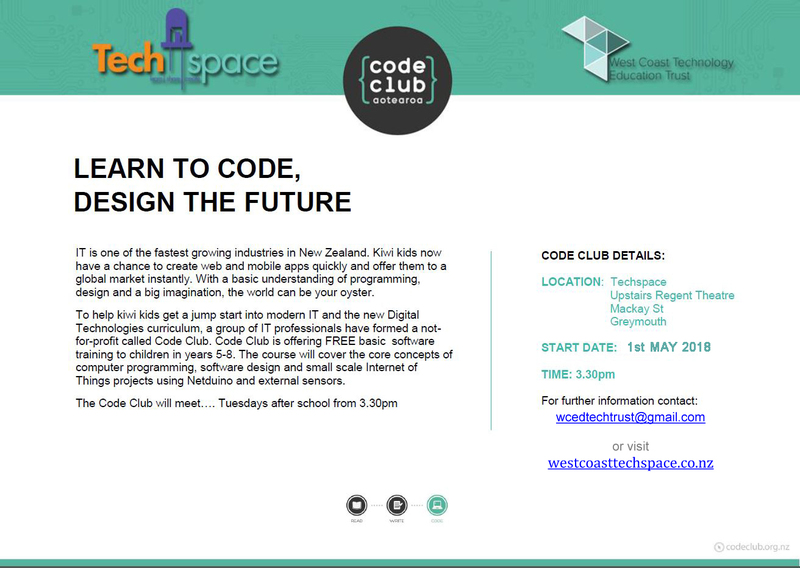 Term 3 teaches the basics of web development using HTML and CSS. Term 4 teaches Python. We are currently developing further resources teaching children to build their own Internet of Things projects. Our goal is to inspire children to build and share their ideas, learning along the way. We want children to leave Code Club inspired to pursue other digital “making” activities, whether that’s in their spare time, in school, or as a career. We want them to gain skills that are useful to them – not only learning to program, but also learning about computational thinking, problem solving, planning, designing and collaboration. Learning to work in a team to solve real world problems is one of the greatest skills students can leave Code Club with. Why should children learn to code? Learning to code is an important skill living in a digital age. It’s not just enough for children to know how to use technology. Each child, regardless of their background, should have the chance to explore the endless possibilities technology provides to them. Every student in New Zealand deserves the opportunity to decide for themselves whether a career in IT is something they want to pursue. Through learning to design and code real world solutions, working with others with different skill sets, and interacting with volunteers from the IT industry, students can make future career decisions based on first hand experience.